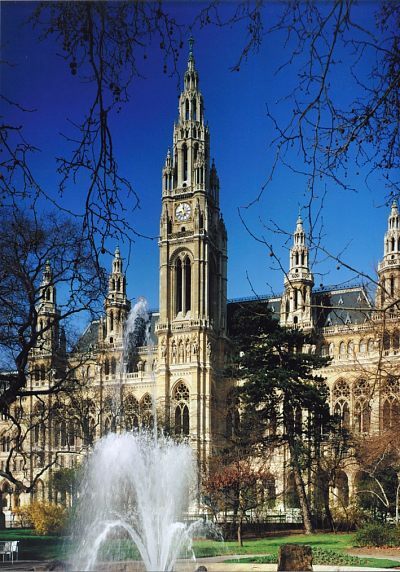 Vienna, the "capital of the 20th century"
Vienna in 1900 was the bustling metropolis of the Habsburg Empire, the home of many ethnic groups, religions, languages, and schools. A paradise for original thinkers, scientists, and artists such as Sigmund Freud, composer Gustav Mahler, and painter Gustav Klimt, but simmering with tensions and contradictions. While Jews composed about 10 percent of the Viennese population, the majority of the intellectual elite was Jewish. There were signs of the terrible trouble ahead. 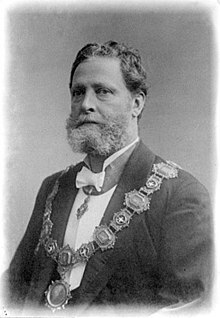 Bürgermeister Karl Lueger, denied the mayor's office by Austrian Emperor Franz Josef several times despite his popular election, had anti-Semitic leanings. He had "gone so far as to suggest the Jews all be loaded on a ship and sent off to Palestine." Yet, the importance of connections in patronage and commerce led Lueger to declare, "'I'll decide who is a Jew.'" Despite the great wealth of some citizens, including industrial tycoon Karl Wittgenstein, others lived like rats in the Zwingburg, an underground warren of dwelling spaces along the sewer system. This paradoxical Vienna is the setting of J. Sydney Jones's 2011 book of historical fiction, The Silence. As the book opens, it is January 31, 1900. Lueger is up in the Rathaus tower, looking down on his city and mulling over the waning power of his enemy, Franz Josef, who derides him as a demagogue. As Lueger descends the stairs, he and his bodyguard hear a gunshot. His old friend from school days at the exclusive Theresianum, Councilman Reinhold Steinwitz, has apparently shot himself in his office. Lueger isn't the only one doing some turn-of-the-century contemplating. Advokat Karl Werthen doesn't understand what drove his client, Steinwitz, to commit suicide. There was no note, and his life was seemingly untroubled. Werthen is also thinking about one-month-old Frieda. His wife, Berthe, has her hands full with Frieda; her father, Herr Meisner, who is eager for Frieda to have an Aliya (a Jewish naming ceremony); and Werthen's parents, who are equally anxious to see Frieda's Christian baptism. Neither Karl nor Berthe is religious, but they are uneasy about offending their parents. In addition to these concerns, Werthen is chewing over the good luck of his new assistant, Fräulein Erika Metzinger. Recently, there has been discussion about allowing women to attend medical school in Vienna, but legal studies are still off limits. Despite her lack of formal training, Fräulein Metzinger had been recommended by Berthe's friend, feminist Rosa Mayreder. Fräulein Metzinger's intelligence and organizational skills will free Werthen from the routine wills, trusts, and criminal matters of his law practice so he can embrace his real love, private inquiries. The Wittgenstein siblings, 10 years earlier. Hans is second from the right. Ludwig is the baby. And here comes a private inquiry waltzing into Werthen's office, in the form of his friend and client, Gustav Klimt, whose model was murdered in the first series book, The Empty Mirror. Klimt is Karl Wittgenstein's protégé and friend. Wittgenstein's 23-year-old son and heir, Hans, has been missing for a week, and his mother is worried. While his father believes that Hans is off sowing wild oats, there may be a sinister reason for his disappearance. The Wittgenstein children have been raised as Catholics, but they have a Jewish background. Hans could be the victim of an anti-Semite, or his father's unhappy business rival. He could have been kidnapped and held for ransom. Or, since "happiness is not the primary goal of the Wittgensteins," the musically gifted Hans could have rebelled against his father's career plans for him and run away. Werthen will look into it. Werthen's investigations lead him to Hans's Theresianum friend Henricus Praetor, the young journalist who was first to write about Steinwitz's death in the socialist newspaper Arbeiter Zeitung. When Praetor dies under mysterious circumstances, Werthen and his colleague, the criminologist Hanns Gross, have yet more mysteries to unravel. A pleasure of reading fiction like The Silence is seeing flesh put on the bones of historical figures. In this book, we are reminded of Klimt's innovative art and witness one of the 20th century's most famous philosophers, Ludwig Wittgenstein, as Luki, a boy in short pants making a working wooden model of a sewing machine and complimenting Werthen on the logical nature of his thinking. We visit places such as the Kunsthistorisches Museum and hear a theory about why Brueghel dropped an "h" to become Bruegel. We learn about Dienstadeln, or service nobility; design and art's Secession movement; compare competing visions of Austrian architects Otto Wagner and Camillo Sitte; discover that suicide claimed more lives per year in Vienna than other diseases such as tuberculosis and syphilis; get a sense of Viennese mores; and learn how they viewed homosexuality, the homeless, and the role of women. Turn-of-the-century fads were snail racing and a shoe style from America. The description of food is both mouth-watering and jeans-too-tightening. We also have a ringside seat, watching Advokat Werthen and Doktor Gross, who somewhat resembles Sherlock Holmes in his methods, do their sleuthing. The police have only recently, at Gross's prodding, made any attempt to protect a crime scene; however, the police aren't entirely competent or free of prejudice and corruption. Werthen must balance the needs of his family and his desire to investigate; however, his father's dislike of his sleuthing is nothing to that of Gross's wife Adele. 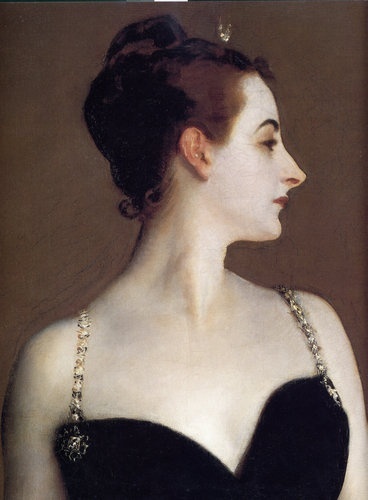 She insists that their opera and ball attendance do not fall victim to Gross's inquiries, and he goes to amusing lengths in his efforts to keep her happy. Berthe is only too willing to help her husband, but she has Frieda to watch. While a bit of the history Jones dishes up distracts from the plot, for the most part it is fascinating. The hypocrisies of the Austrian social system and the problems created by its hodgepodge––rather than melting pot––society hold interest for today. I enjoyed The Silence, third in the Viennese Mysteries series. Along with a cup of Viennese coffee and a flaky pastry, make it part of your menu for fall. Note: I received an free review copy of The Silence from the publisher, Severn House, in exchange for my review.